I’m sad that the Tour is over, it was another fun 3 weeks. Chris Froome wins, as expected. 23 year-old Quintana, racing in his first Tour, won a stage, won the King of the Mountains jersey and the Best Young Rider jersey and finished 2nd overall — impressive. Nothing much to speak of for Americans. 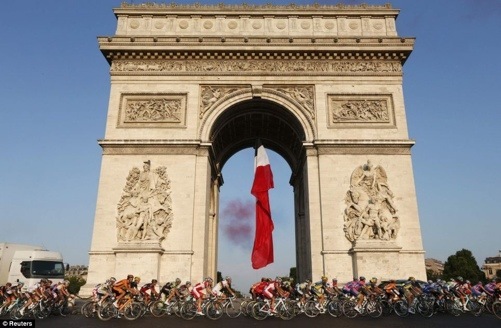 What a great ride through Paris at dusk, by the Louvre and around L’Arc de Triomphe, I wish they did that every year. I’m sharing an appropriately golden-colored Petrus Aged Pale with Gay while watching the end. Now to wait 49 more weeks until the next one.